Bamboo Island, the second book in my South East Asia WW2 Trilogy is now available on amazon.co.uk and amazon.com in the Kindle edition. The paperback version is out in SE Asia already and will be launched in the UK in March 2016. Here’s the blurb: Malaya 1962: Juliet Crosby, a plantation owner’s wife, has lived a reclusive life on her rubber plantation since the Second World War robbed her of everyone she loved. The sudden appearance of a young woman from Indonesia disrupts her lonely existence and stirs up unsettling memories. Together they embark on a journey to Singapore and Indonesia to uncover secrets buried for more than twenty years. Juliet is forced to recollect her prewar marriage, her experiences during the Second World War – hiding from the Japanese in Singapore before being captured, tortured then imprisoned with other intertnees in Changi Prison – and the loss of those she once held dear. 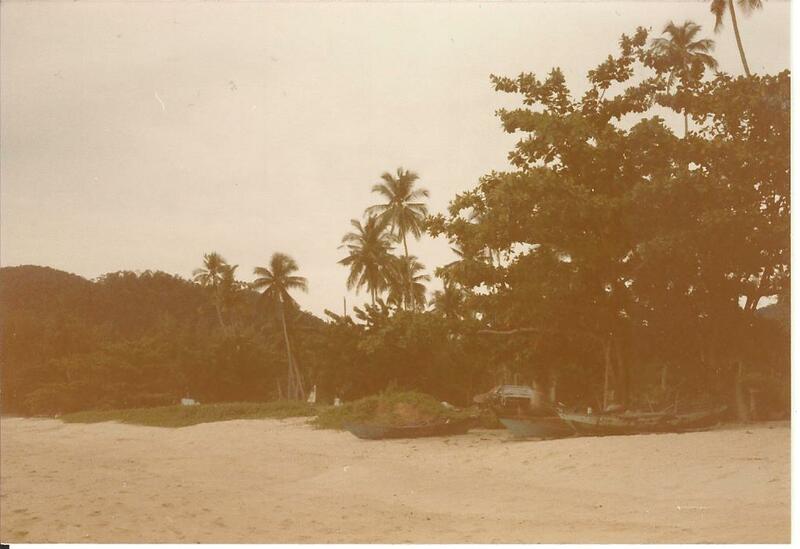 Bamboo Island is volume two in a Southeast Asian WWII trilogy that includes Bamboo Heart and Bamboo Road. They are all standalone stories. Bamboo Heart is available now and Bamboo Road is coming soon. Ann Bennett discusses how she traced her father’s records of army service and reveals the wealth of documentary sources that have survived. Researching family history is a journey of discovery that can take you in many directions. There are different routes you can take: some are blind alleys and some super-highways to moments of enlightenment. This article is about my quest to find out about what happened to my father in the Far East during the Second World War. It took me on several trips to Thailand and also, thanks to the wonders of the Internet, to sources as far apart as Taiwan, the United States, London and Glasgow. It is a journey that is still not over – there are still avenues I would like to explore. 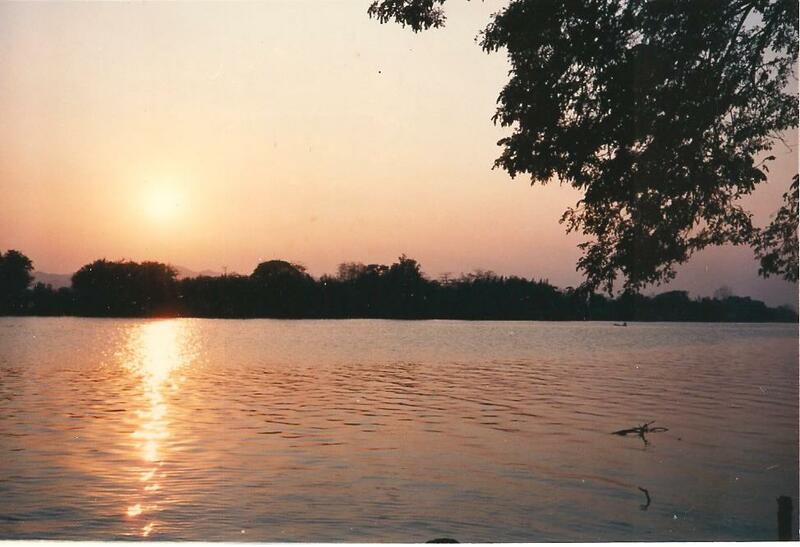 My last post was about my 1988 trip to Kanchanaburi with my mum. 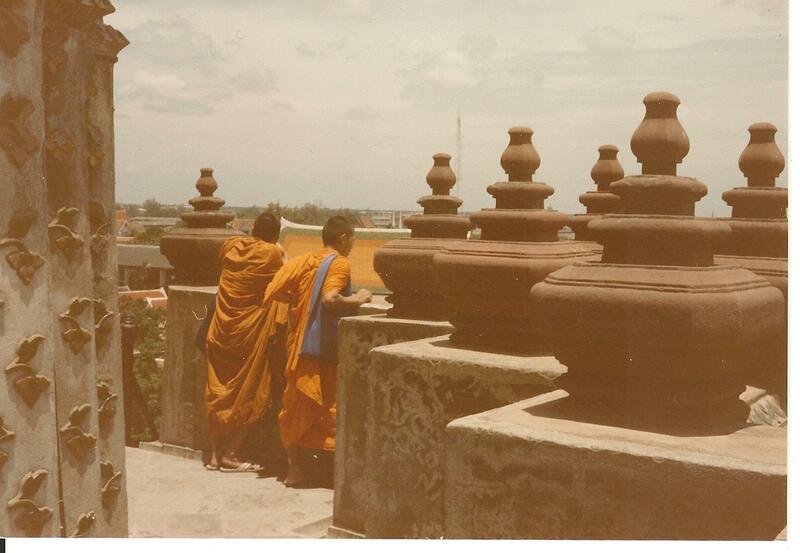 Another time I’ll share more photos and diary entries about our adventures in Songhkla and Hat Yai in Southern Thailand, and our week in Burma during the 1988 military crackdown. 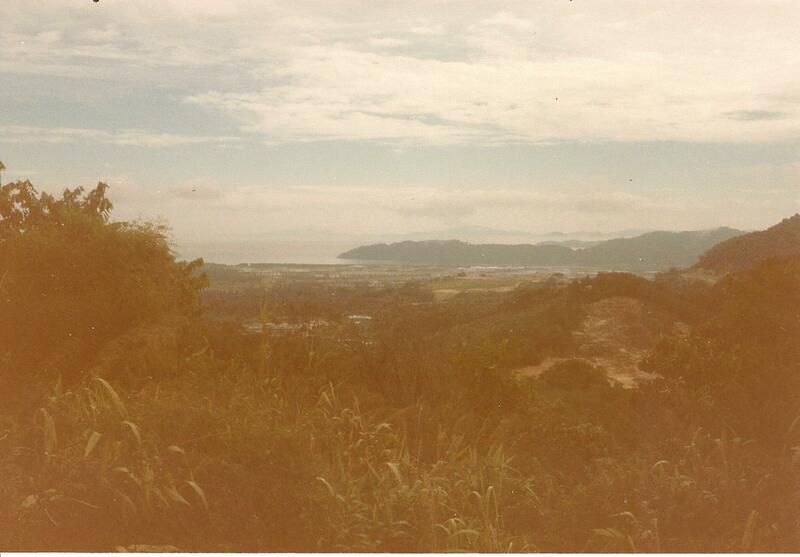 Now I’m getting back on track with the inspirations for Bamboo Heart, by posting about my four days in Penang in 1985, my only visit to that beautiful island. It made a huge impression on me, enough to stay with me for decades and inspire the setting for two story-lines in Bamboo Heart, separated by fifty years. I would love to return one day.From photos and videos I’ve seen of modern day Georgetown, it is transformed from the low-rise, low-key atmospheric port I visited full of streets of shop-houses and colonial buildings into a to a bustling modern city of glass skyscrapers, although I understand that all the colonial buildings and Chinese shop-houses have been carefully restored and preserved. 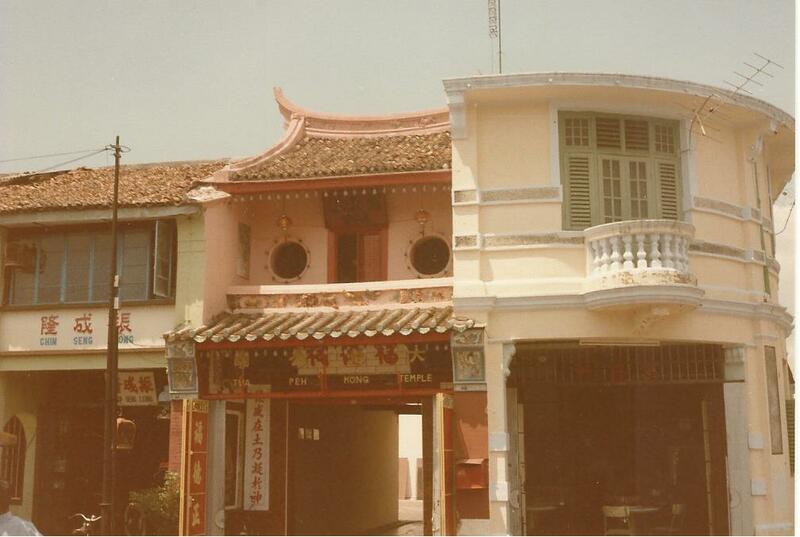 Below are some photos of Georgetown that I took in 1985, and which inspired the sections of Bamboo Heart in which Laura visits Penang in 1986 on her quest to find more about her father’s past and track down the elusive Joy de Silva. 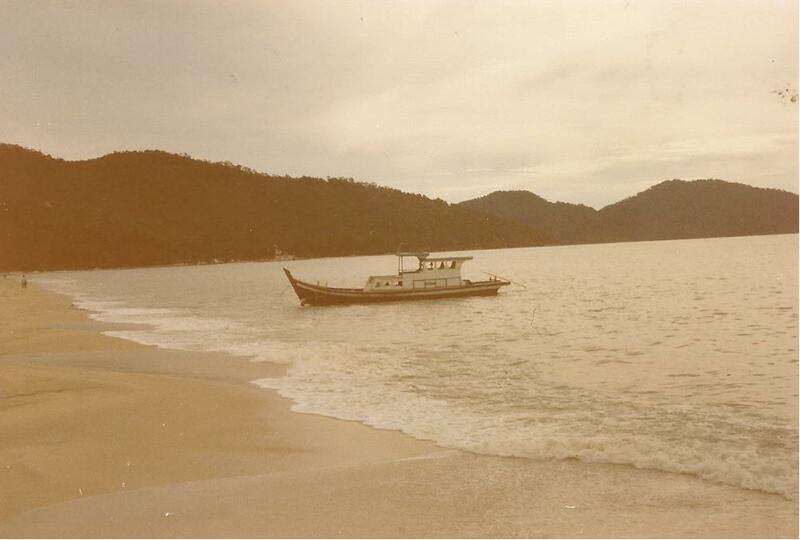 My visit to Penang was on a Bangkok to Bali Rover with Trailfinders, my first experience of travelling outside Europe. 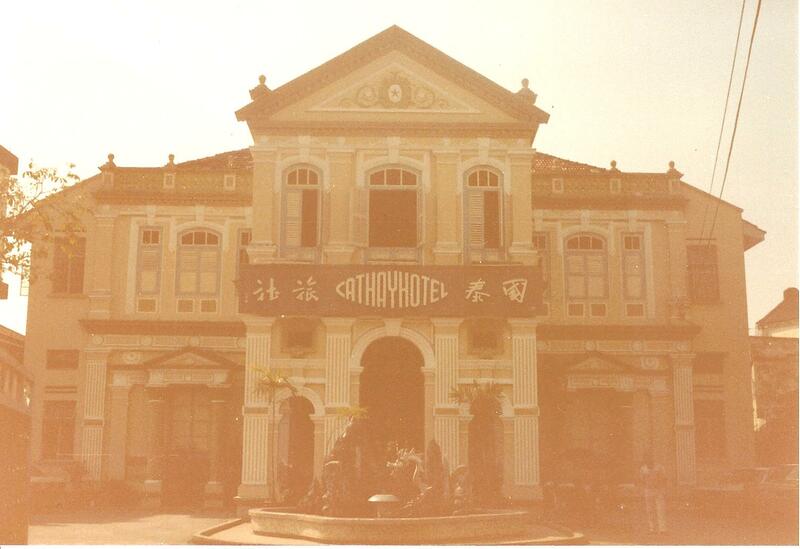 We had started out in Bangkok, visited Ayutiyah and Pattaya in Thailand, then boarded a night train to Butterworth in Malaysia. According to The Man in Seat 61, the trains look just the same now as they did then. 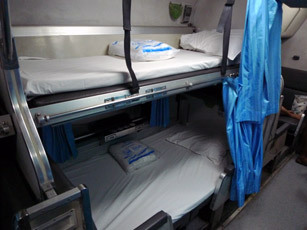 I remember a fantastic night’s sleep on linen sheets and a cheap tasty meal washed down with Singha beer in the restaurant car. At Butterworth we took the ferry to Georgetown – a great lumbering square boat. There wasn’t a road bridge then. 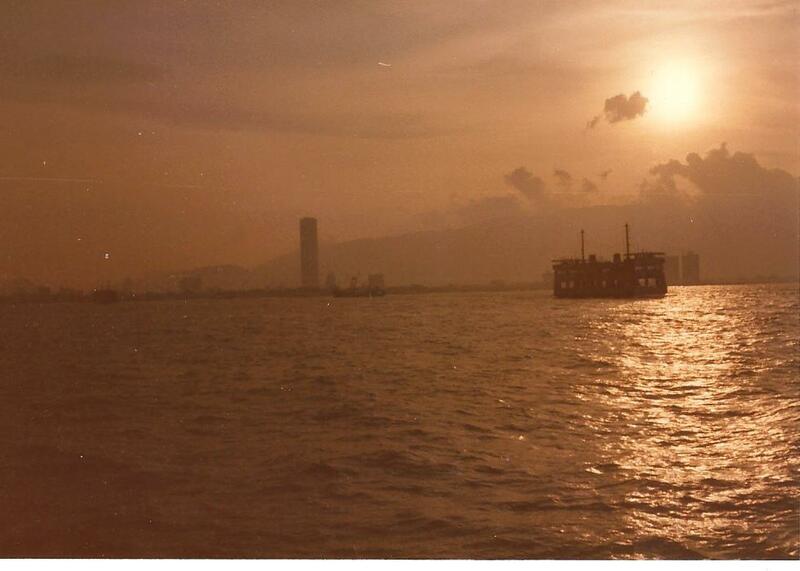 I remember crossing the straits at sunset, standing out on deck in the warm evening, and watching the red sky and the mountains behind the town coming closer. Here is my picture from 1985. My camera obviously didn’t like to tropical climate! All the photos from that trip came out dull and dark. I would certainly have stayed at the Eastern and Oriental Hotel, but all we could afford was a coffee on the terrace. I think that coffee probably cost far more than a night at the Cathay Hotel. I made up for it by having Tom stay there on his first night in Georgetown. We also took the funicular railway up to Penang Hill to see the wonderful views across the shimmering straits towards Butterworth and the mainland. 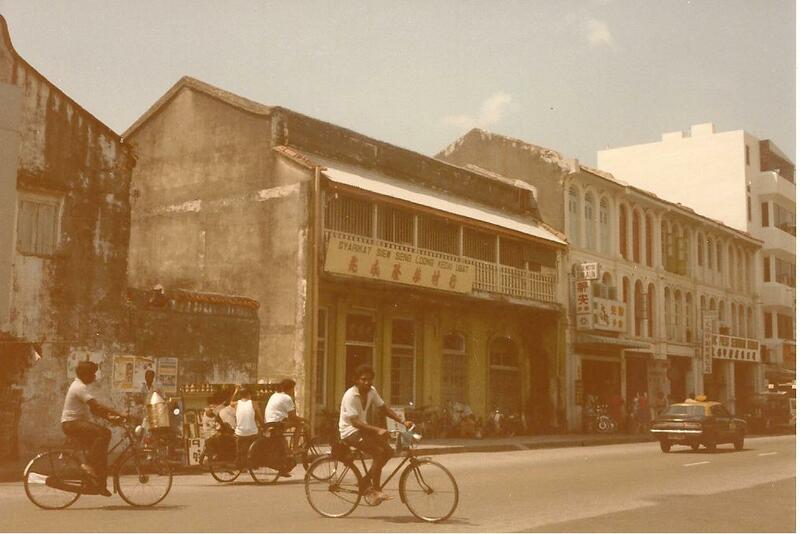 I remember eating satays in the little cafe there. I have used this location in both Tom’s story in the 1930s and Laura’s 1980s story. 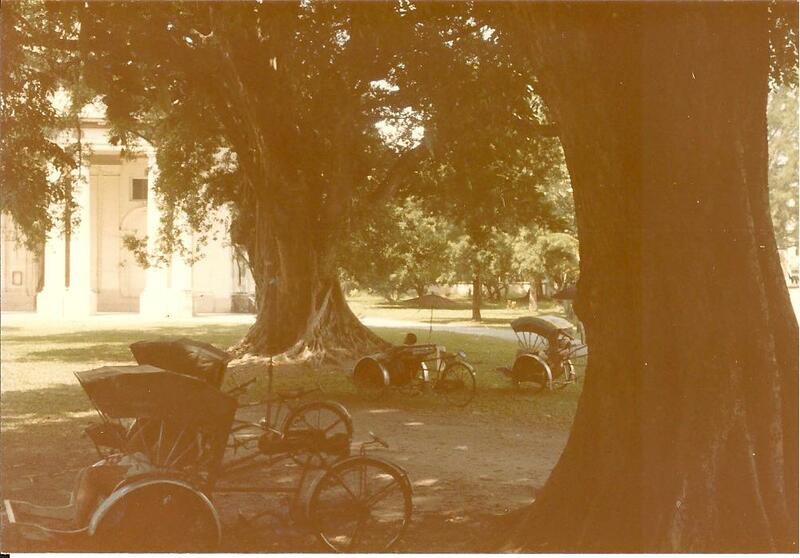 The below photo (which is mine) of rickshaw riders resting in the trees near the museum in Georgetown inspired another scene in the book, I won’t say which one… if you’ve read Bamboo Heart, you’ll be able to guess. As announced yesterday Bamboo Heart by Ann Bennett has won the poll to find Asian Books Blog’s Book of the Lunar Year. The story is gripping, the characters well-drawn and believable and it is very well written. This was such a moving story, beautifully told, balancing a flavour of the place and time with a deep involvement in the lives of interesting, well-drawn and, above all, credible characters. 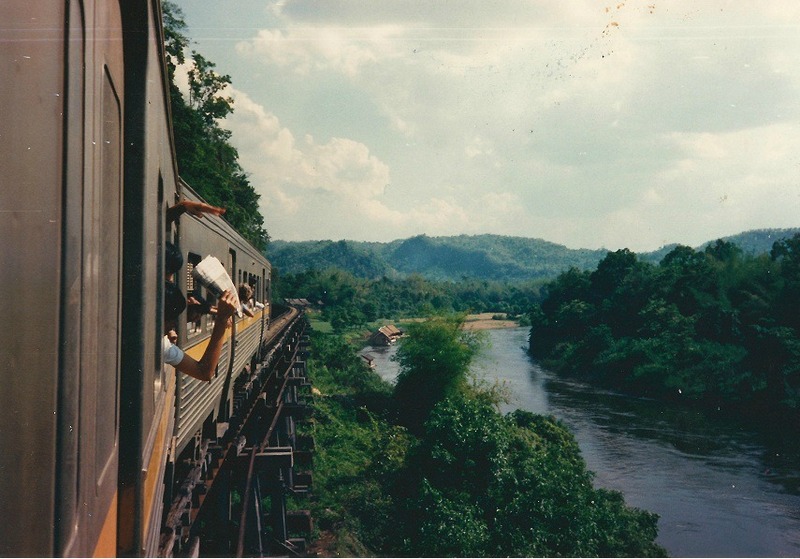 A wonderful uplifting read – a new perspective about the death railway. The winner of the inaugural Asian Books Blog Book of the Lunar Year, in the Year of the Horse, is Bamboo Heart, by Ann Bennett, with 34% of votes cast. Blog readers have said some lovely things about Bamboo Heart. Full analysis of the results, and comments from voters, will follow tomorrow. 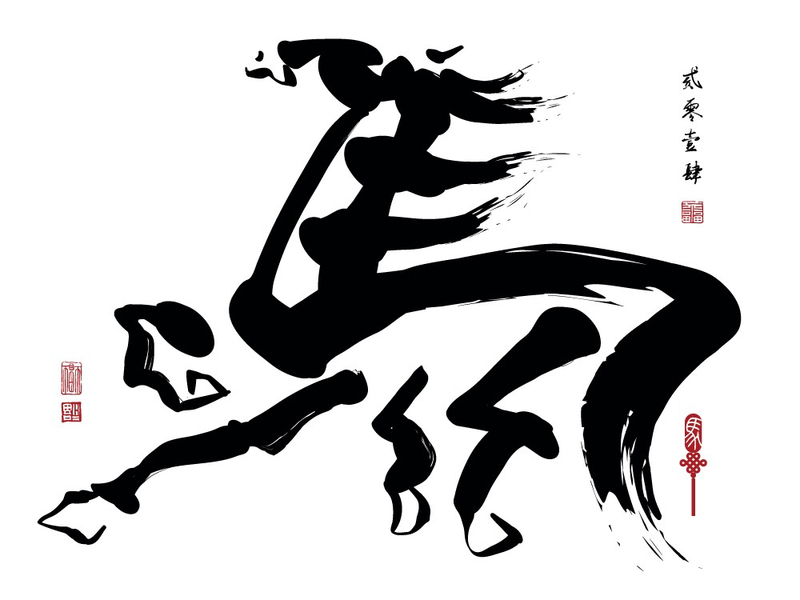 Asian Books Blog has nominated Bamboo Heart for the book of the lunar year award. 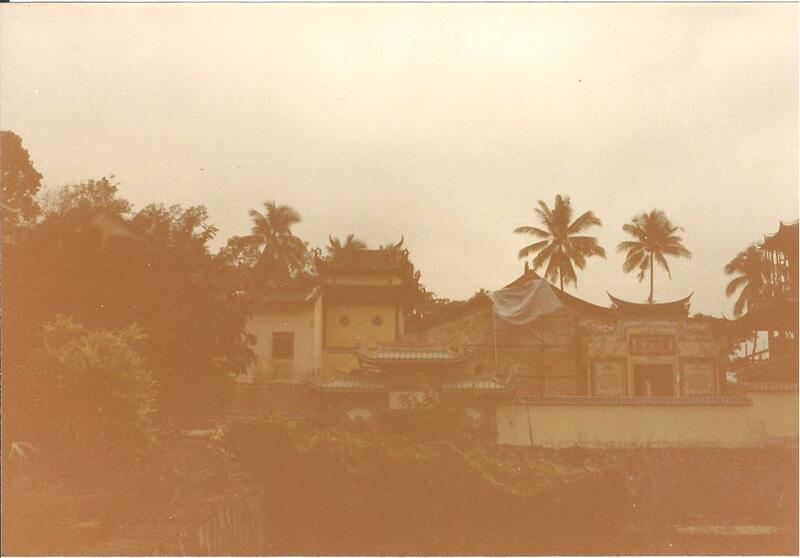 Here’s a link to my ‘500 words’ on Asian Books Blog about inspirations for Bamboo Heart. It is a while since I had time to do any posts to my Bamboo Heart insprations blog. 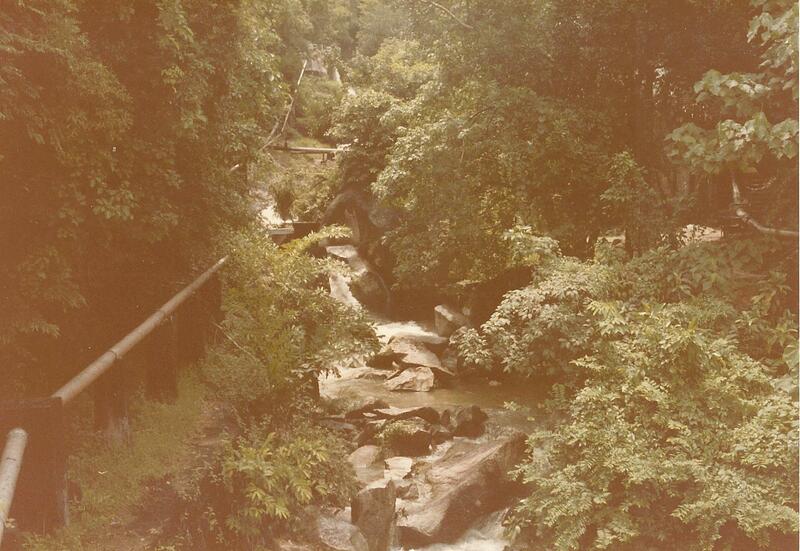 Here are some more photos from the Kanchanaburi sections of my 1988 trip with my mum. First up are the ones from the photo gallery on my website. You’ve might have seen all these before..
We also did a lot of travelling around the province by bus, visiting the Erewan Falls and Sai Yok National park. 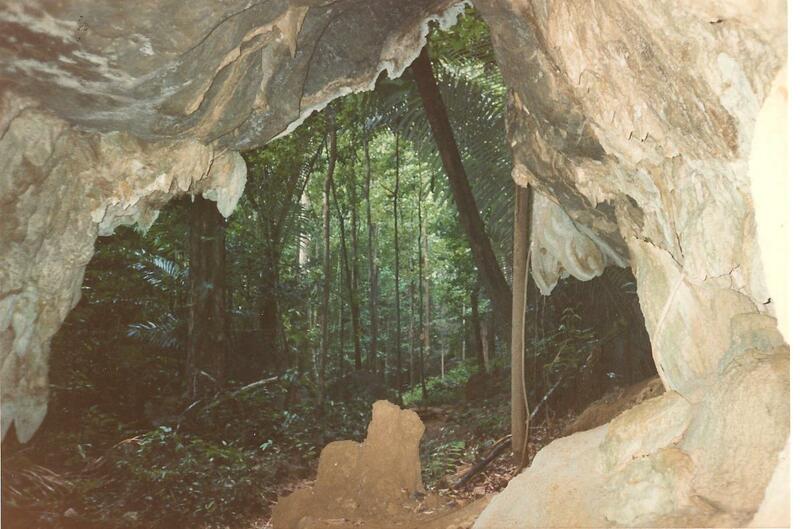 The region is wild and beautiful, craggy hills covered in jungles, lakes, waterfalls. 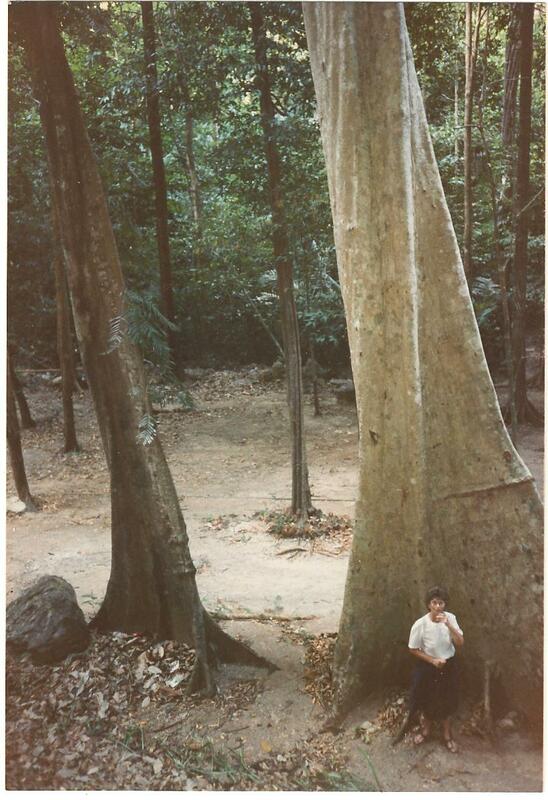 The teak forests in Sai Yok National park in Kanchanaburi province were felled for sleepers on the Death Railway, but the forests were replanted in the 1950s. 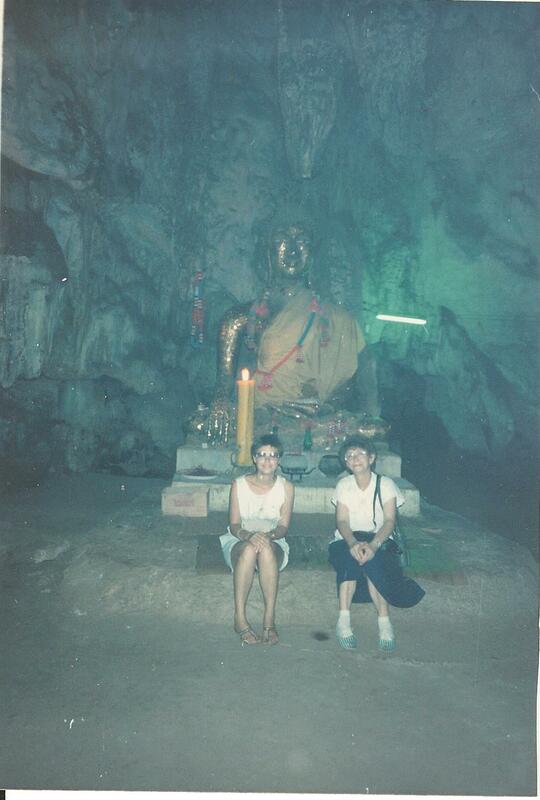 This is us at cave temple near Kanchanaburi – I have scribbled Wat Tham Khao Pun on the back of the photo. More details about the cave temple from Lonely Planet here .It is quite near Chungkai camp, where my Dad was imprisoned for several months between December 1943 and June 1944 (link to my website page for more details) .Chungkai camp also is the main setting for the railway scenes in Bamboo Heart. 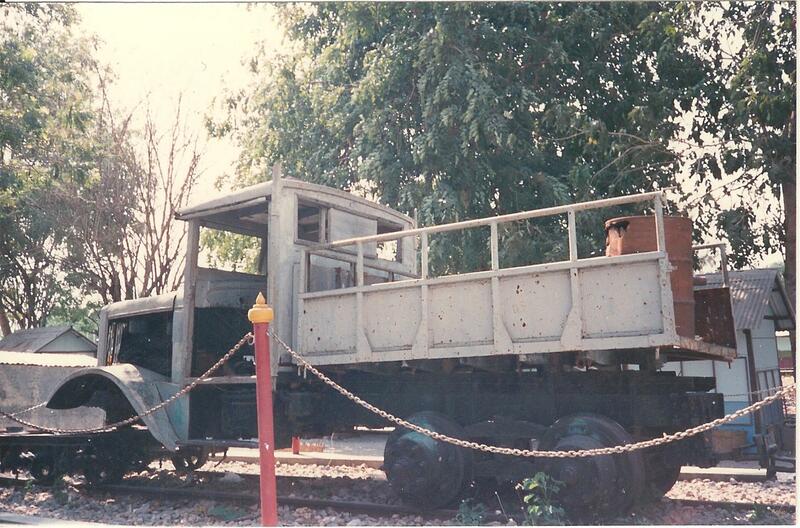 One day we took a train from Kanchanaburi on the railway to as far as it went at Nam Tok. I used passages from my diary about that day for the trip Laura and Luke take in Bamboo Heart. I will type them out in full and include a link to them from my website, but here’s a small section: ‘up to the station to catch the Kwai train. It arrived about half an hour late. Only 3rd class tickets available and the carriage was very bare – painted brown with old-fashioned adverts on the walls and wooden seats. The windows were wide open and we got a good view of the countryside. Miles of paddy fields, cassava plantations, bananas, then jungle encroaching. Lonely Planet tweeted a picture of all my guide books last week. Anyway, that got me browsing through the old Lonely Planet Thailand guide by Joe Cummings that I used on my 1985 and 1987-88 trips. 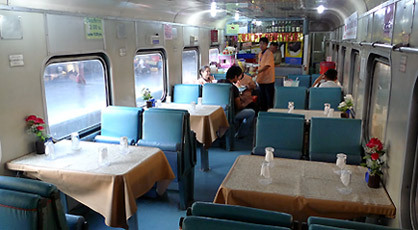 The 1985 trip was with Trailfinders -(they catered to budget travellers then); the Bangkok to Bali Rover – all on public transport. 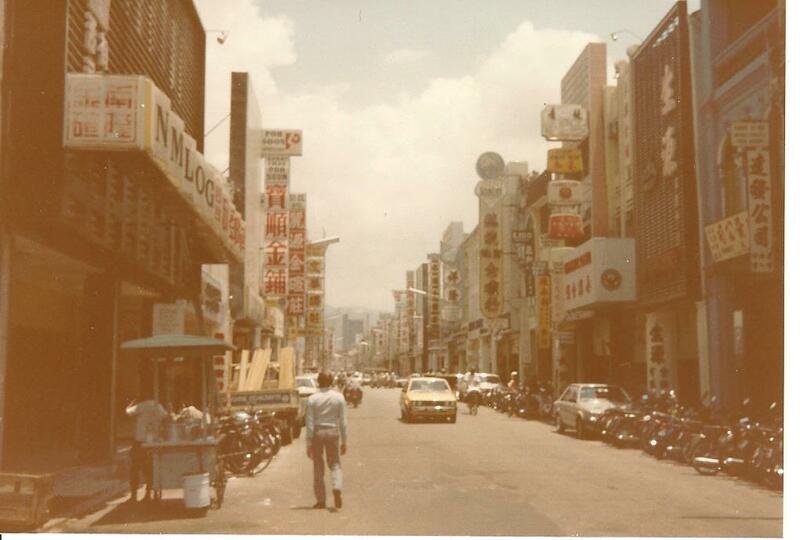 We didn’t spend much time in Thailand -just Bangkok, Ayuthaiya and Pattaya (which even back then was the epitome of sleaze). But that journey gave me a taste for the country and a desire to return and linger. 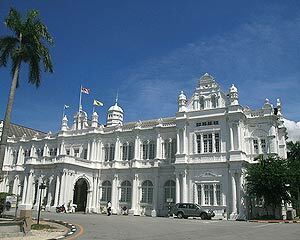 We also spent a few days in Penang on our way down Malaysia – which I’m going to cover in a later blog – that was the inspiration for the chapters on Penang in Bamboo Heart. Our 1988 trip was eventful to say the least. 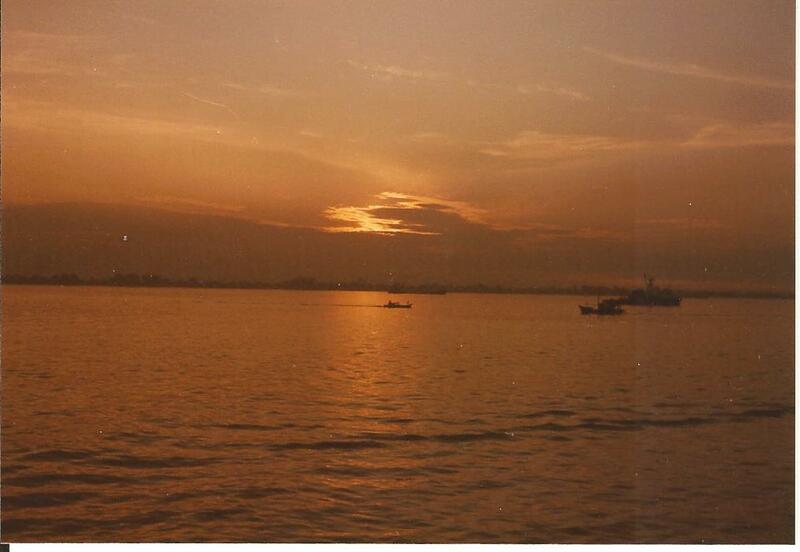 After Kanchanaburi and the Death Railway, Mum and I went on to spend a week in Burma – the week of 13th March 1988; the very week that there were protests and a military crackdown, tanks and guns on the streets of Rangoon and a curfew. Pretty scary. This YouTube clip is narrated in Burmese, but it shows what happened and how frightening that was. I’ll blog more about our Burmese adventure later too! 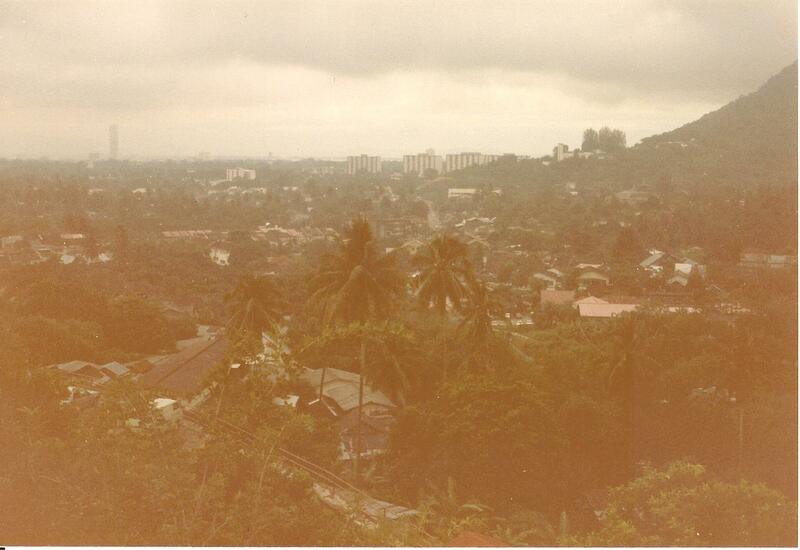 Back to the beginning: I met Mum in Bangkok -I had arrived there via India and Nepal and was just back from jungle trekking in the hills of Northern Thailand. Mum had also come via India where she’d visited Bombay and the Ajanta and Ellora caves near Aurangubad all on her own. Very brave for a lady of over sixty who prior to that had never travelled further than France. Mum and I stayed in a bit of a dive, the Swan Hotel, pictured here. It is still going strong today although has clearly been updated and refurbished. 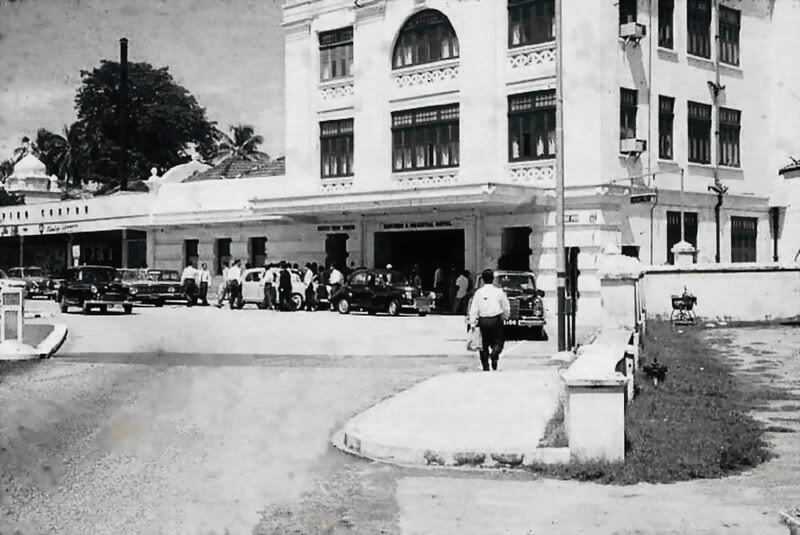 Back then it was rather grotty, it’s chief attraction being its location; it was virtually opposite the grand old Oriental Hotel (famous haunt of great men of letters, Somerset Maugham, Graham Greene and Joseph Conrad). 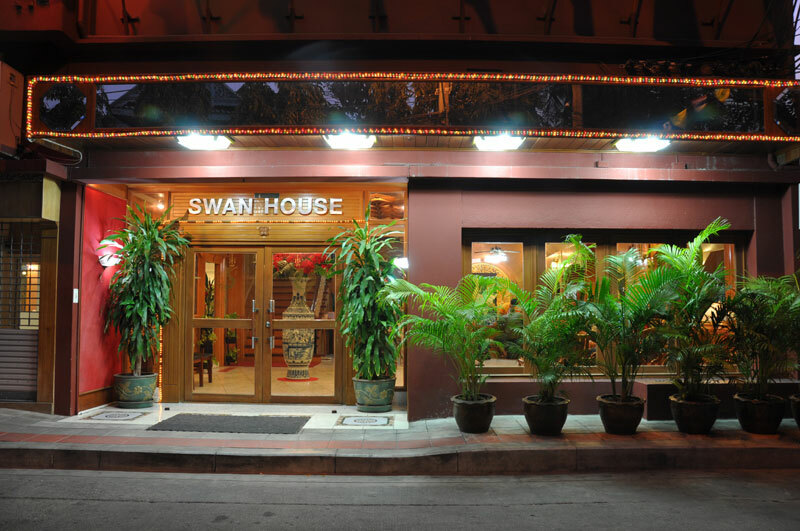 The poor old Swan hotel was, sadly, not as grand, and the backpackers who stayed there weren’t very illustrious, but it was just back from the Chao Phrya river – and it had a swimming pool. The two essential things for a stay in Bangkok. 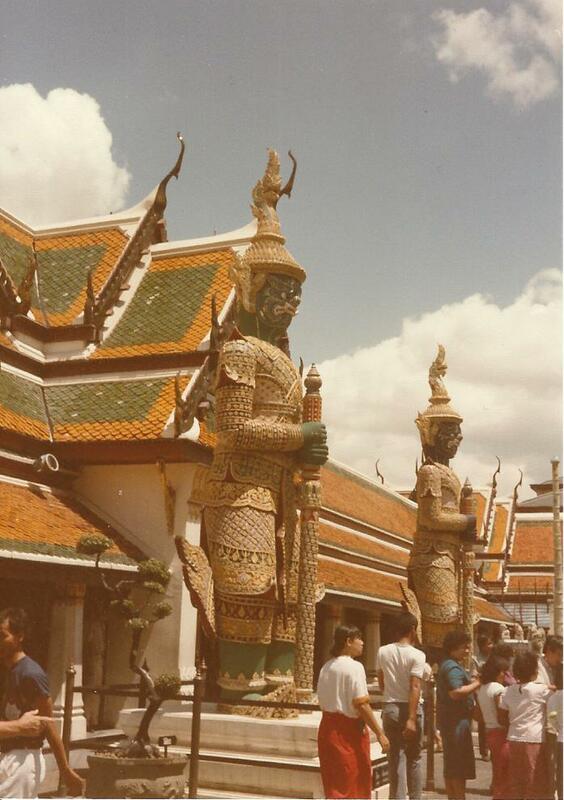 We did the usual things – visited Jim Thomson’s house, the Grand Palace, the Royal Barge Sheds on the river, all the temples including Wat Arun and Wat Po; we ate fantastic fresh fish in Silom village, watched classical Thai dancing and sampled aromatic Thai cooking from food-stalls off the Charoen Krung Road. We didn’t stay in Khao San Road, (the backpacker’s default destination and immortalised in the book and film the Beach). I didn’t think Mum would like it, but I had spent one night there when I first arrived from India. My diary says that I stayed in the Riverside Guesthouse on Khao San, but I can’t find any trace of it now. I can’t remember a great deal about it either. I know I went there with a Swiss girl I had met on the flight and we shared the cost of a room. It must be this guesthouse that is the inspiration for where Laura stays in Bamboo Heart. 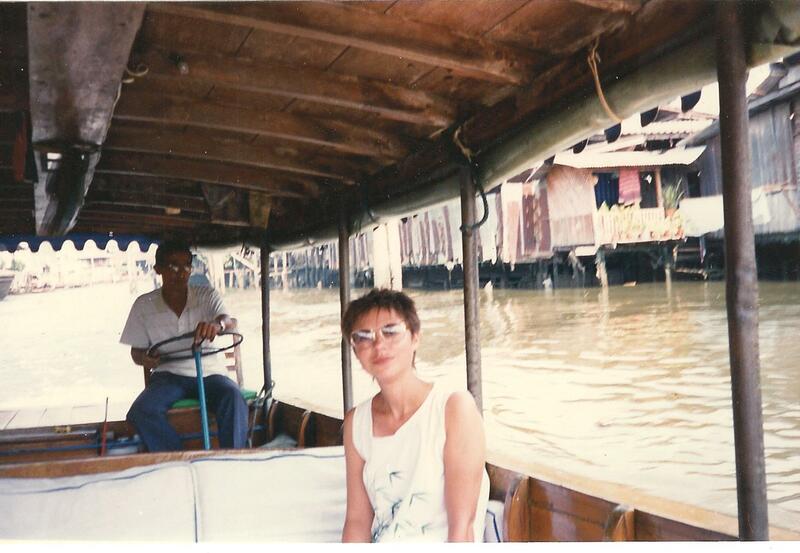 Mum and I took a boat trip along the klongs (canals) in Thonburi – below is a lovely (not) photo of me on the boat. Nice glasses which had photosensitive lenses – so heavy they kept toppling off my nose, and weren’t that photosenstive at all. You could go inside the hotel from a sunny street and find yourself bumping into things and tripping up steps because the lenses still thought it was bright sunlight! Not quite sure why I had such short hair either – I remember having it cut by a barber in Connaught Squre in New Delhi, and I was probably his only female customer ever. I meant to get on to Kanchanaburi on this post, but I think I’ll have to leave it until the next one. I’ve just been reading my diary entries for our stay in Bangkok and will end here with our journey to Kanchanaburi. I could have sworn we went on the train, but no, we caught an Air -Conditioned bus from a bus station on the edge of Bangkok having struggled through the rush hour in a sweltering taxi. Here is my diary entry. I have forgotten about most of it, but the VT guesthouse is the inspiration for where Laura and Luke stay in Bamboo Heart. 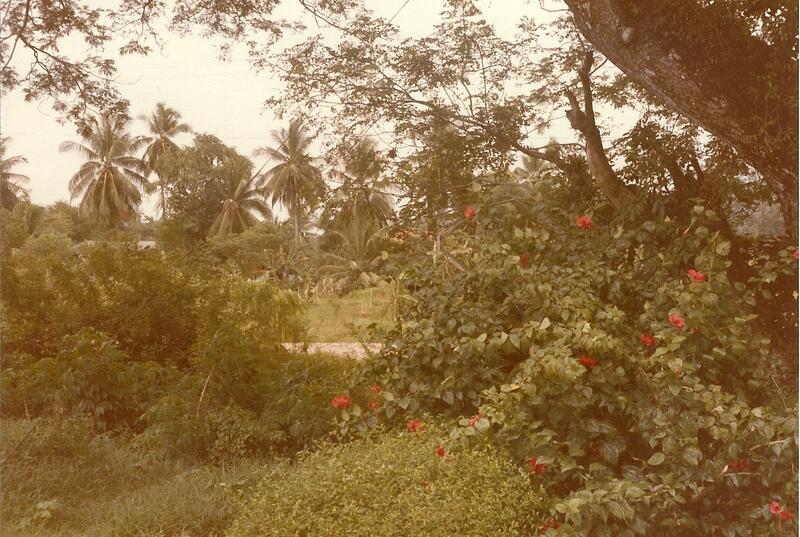 ‘We passed through lush green countryside, palms and coconut groves, then low hills. 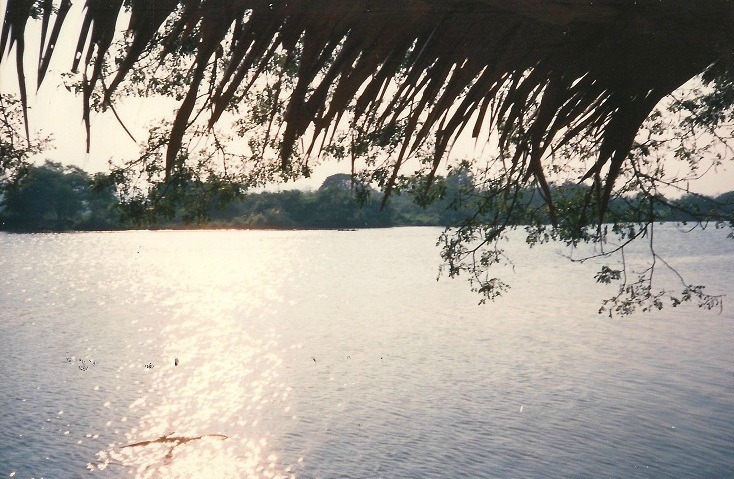 All the time I was thinking about my career dilemma [NB – I still am!….I’ll leave that bit out as it is boring ]... At Kanchanaburi we decided on the River Kwai hotel. A mistake. It feels a bit like a cross between a hall of residence and a brothel. I don’t think room service is on the cards! Went next door to a posher hotel for dinner. It all started very nicely -lovely service and a nice dining room, but things went drastically down hill when the waiter bringing our food slipped over on some water just next to our table and he, the tray, plates and everything else went crashing down, missing me by an inch. Then the two men at the next table asked us to join them. We couldn’t refuse without being rude. Had to sit there while they practised their apalling English on us, which consisted mostly of the names of Arsenal and Man United footballers. They insisted on paying for the meal, so we quickly left, leaving 200 baht on the table. Crossed the road for a coffee, but fared no better. It was the Valen-Tine pick up joint where a Thai girl singer in black mini skirt and stilettos droned from the stage and the waiter told me I was beautiful and asked if I wanted a man friend! Retreated to our hotel room which is very hot, bare and I think infested with bed bugs. 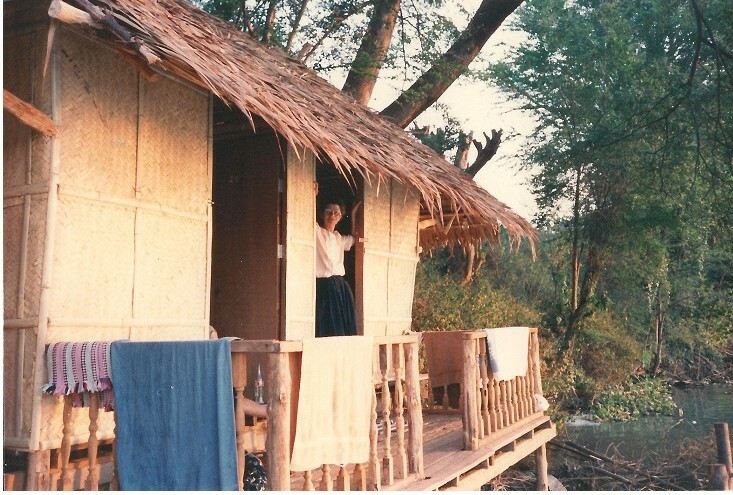 More about the VT Guesthouse and the River Kwai next time, but here are some pictures..
Mum on the hut beside the river Kwai. The hut features in Laura’s story.